Sabina Spielrein was a Russian doctor and one of the first female psychoanalysts. She is also known as Carl Jung's patient and student and was rumored to have had a romantic relationship with Jung. Spielrein was the first woman to write a psychoanalytic dissertation. of which no one must know. Sabina Spielrein was born in Rostov-on-Don, Russia, on November 7, 1885, into a wealthy Jewish family. Her father, Naphtul Arkadjevitch Spielrein, was a successful businessman and her mother, Emilia (Eva) Marcovna Lujublinskaja, was a dentist. Her maternal grandfather and great-grandfather were rabbis who had arranged Emilia's marriage to her Jewish husband. While the household was strict and at times even abusive, her parents placed a heavy emphasis on education and Sabina grew up speaking Russian, German, French, and English. In 1904 at the age of 19, she was admitted to the Burghölzli mental hospital in Switzerland, apparently suffering symptoms of what was then known as hysteria. She became a patient of psychoanalyst Carl Jung who described her as "voluptuous" with a "serious, dreamy expression." Spielrein remained at the hospital until 1905. Spielrein was evidently the reason Jung initially reached out to Sigmund Freud. Jung had learned about Freud's techniques and in 1906 he wrote a letter to the famous psychoanalyst to ask for advice about a challenging case involving a young Russian woman. The rest, as they say, is history. Jung and Freud soon became friends and intellectual confidants and Jung frequently corresponded with his colleague about Sabina. "Spielrein is the person I wrote you about," Jung wrote to Freud in a letter on June 4, 1909. "She was, of course, systematically planning my seduction, which I considered inopportune. Now she is seeking revenge. Lately, she has been spreading a rumor that I shall soon get a divorce from my wife and marry a certain girl student, which has thrown not a few of my colleagues into a flutter..."
Spielrein served as a recurrent topic of their discussions and likely contributed to the early development of psychoanalysis. In addition to his dialogues with Freud, Jung also wrote case studies focused on Sabina. Spielrein became Jung's laboratory assistant and later entered medical school where she studied psychiatry at Jung's suggestion. Today, many believe that Spielrein and Jung also became romantically involved, although the extent of the relationship has been debated. These suggestions are based on the letters exchanged between the two as well as Sabina's own journal entries. Letters between them indicate intense emotional and intellectual involvement. While some suggest that the relationship was purely emotional, historian, and psychoanalyst Peter Loewenberg argues that the affair was sexual and therefore a breach of Jung's professional ethics. According to Loewenberg, the relationship "jeopardized [Jung's] position at the Burghölzli and led to...his departure from the University of Zurich." In 1911, Sabina graduated from medical school and began her own psychoanalytic practice during the relationship with Jung. The relationship had been going on for several years until Jung determined that his involvement with Spielrein was detrimental to his career and ended the affair. Spielrein moved to Vienna, Austria, in 1911 and joined the Vienna Psychoanalytic Association. In 1912, she married a Russian physician named Pavel Scheftel and later had two daughters, Irma Renata in 1912 and Eva in 1924. At some point, Scheftel left her and fathered a child with another woman before returning to his wife along with the daughter from the other relationship. After working in Germany and Switzerland, Spielrein eventually returned to Russia and played a critical role in introducing psychoanalysis there. During the 1930s, Spielrein's husband died and her three brothers, Isaak, Emil and Jean, were all killed during Stalin's reign of terror. In 1942, Sabina and her two daughters were murdered by a German death squad along with thousands of other citizens of Rostov-on-Don. After her life was cut tragically short, her contributions to psychology were largely forgotten for many years. During the 1970s, her papers and the letters she exchanged with Jung were uncovered and published. Through her relationship with Jung, Sabina Spielrein had a direct effect on the development of psychoanalysis, as well as the growth of Jung's own ideas and techniques. However, it would be wrong to suggest that this was Spielrein's only contribution to psychology. She was the first person to introduce the idea of the death instincts, a concept that Freud would later adopt as part of his own theory. In addition to introducing psychoanalysis to Russia, Spielrein also influenced other thinkers of the time including Jean Piaget and Melanie Klein. Spielrein's full legacy may not yet be fully realized. While she wrote thirty psychoanalytic papers in French and German, many have not yet been translated. "The oblivion into which Spielrein has fallen is remarkable. She was a major figure in the development of the psychoanalytic movement—and a rare woman in that field," suggests Karen Hall of the Jewish Women's Archive. "One can only hope that more of her story will be discovered and that more research will focus on the work that Spielrein did personally. She faced many obstacles, both because she was a woman working in a predominantly male profession and because she was Jewish during a period of violent antisemitism. Her tragic death cut short a life of promise." Carotenuto, A. (1982). A Secret Symmetry -Sabina Spielrein Between Jung and Freud, Trans. A. Pomerans, J. Shepley and K. Winston, Pantheon, New York. Hall, K. (2005). 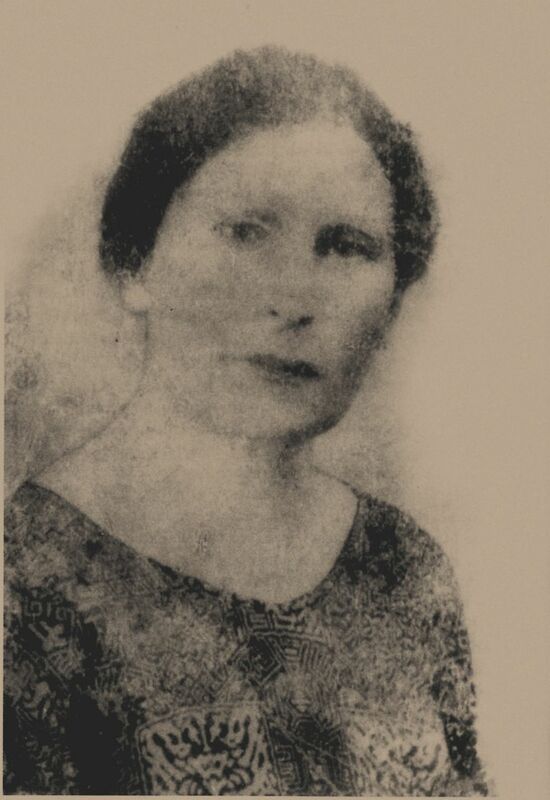 Sabina Spielrein (1885-1942). Jewish Woman: A Comprehensive Encyclopedia. Kerr, J. (1993) A Most Dangerous Method: The Story of Jung, Freud and Sabina Spielrein. New York: Alfred A. Knopf. Loewenberg, Peter. 1995. The Creation of a Scientific Community: The Burghölzli, 1902-1914; in Fantasy and Reality in History, New York: Oxford University Press. Parker, S. (2010). Women and Carl Jung: Sabina Spielrein. Yardley, A. (n.d.) Sabina Spielrein: Notes on a life ended much too soon. Creativity Corner.